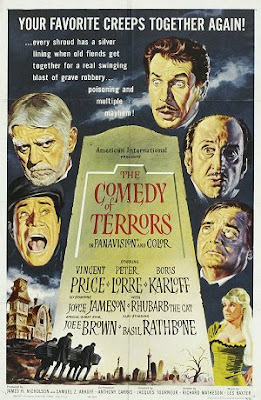 I have never seen that...Is that a really funny comedy? 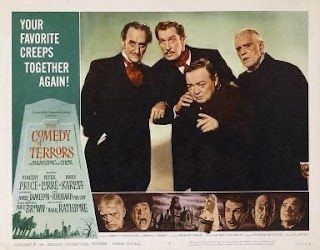 THE COMEDY OF TERRORS isn't funny on the same level as BAD SANTA or a W.C. Fields film. However, it does have some very witty lines and a handful of laugh-out-loud moments. It's more of a "smile" comedy than a "guffaw" comedy. Overall, I found it much more enjoyable than I expected.